If you have a devilish sense of humour, you can derive endless amusement by engaging your supervisors and your librarian in some earnest discussion about Wikipedia. Next time you’re searching for a vital piece of information, just try asking an innocent question along the lines of, “My girlfriend/ flat-mate/ brother said I should just do a Wikipedia search, but I don’t know how reliable it is – what do you think?” Then sit back and enjoy the fun. Maybe you’re unaware just how contentious the subject is, but it won’t take you long to find out. You might argue that, as a sensible and responsible librarian myself, I ought not to encourage you in such mischief. Well, maybe you’re right. But the point I want to make is that you need to take care when you’re web-searching. Many librarians vehemently oppose the use of Wikipedia and other similar sources for scholarly research. Why might that be? Wikipedia … is a free, web-based, collaborative, multilingual encyclopedia project supported by the non-profit Wikimedia Foundation. Its name is a portmanteau of the words wiki (a technology for creating collaborative websites, from the Hawaiian word wiki, meaning “quick”) and encyclopedia. 1. Not a bad place to start. If you’re looking for basic facts, and you’re happy to verify them elsewhere, then there’s no harm in going to Wikipedia. You’re looking for biographical dates? Or a definition of some technical term? Then why not take the easy option?! On the other hand, if what you’re looking up might be controversial, then you need to know more about what you find there. As a researcher, you have to develop inbuilt antennae to detect where there might be bias, and to handle such information with caution. 2. Reliability. Can you rely upon the information you find in a resource that has evolved by communal effort, and is not peer-reviewed in the conventional sense, with entries edited by nameless individuals of unknown reputation, and citations drawn from all manner of sources, both old and new? It doesn’t sound too hopeful, does it? However, if you look at Wikipedia’s own entry on Reliability of Wikipedia, you’ll find that at least some research has found Wikipedia’s “self-healing” properties to be surprisingly effective – in other words, errors are often (not always) picked up and corrected by subsequent self-appointed editors. But take care: omissions of key facts or areas can in themselves lead to undesirable bias. Ask yourself: Would you recognise a gap? 3. Unpicking the stitches. If you’re serious about discerning how reliable a Wikipedia entry is, then you need to do some detective-work. I view this as a similar exercise to unpicking a garment in order to establish how it was made. Look at the structure of the article – has some thought gone into the compilation of the entry, including the coding and hyperlinks etc. Are there references? (More of this in a minute!) Additionally, can you establish the author of an entry? Sometimes, yes. Go the tab, View History, from there to Revision History, and finally click on Contributors. If you’re lucky you can click on their name or pseudonym and find out more. You’ll also be able to see just how many times the article has been edited. All these are clues. 4. Identify the sources. Towards the end of the article, there may well be footnotes, references and external links. See if you can establish how up-to-date the information is, and where it came from. If you’re looking for historical facts, then it may not matter that the information comes from a very old edition of Encyclopedia Britannica. On the other hand, if that information is judgmental, then maybe there’s an undesirable bias that you won’t want to perpetuate. Again, with a historical figure, it might be that their contemporaries viewed them one way, but that modern historians see things otherwise. So, don’t just look for the dates of the sources and nod sagely. Decide for yourself whether you’re happy with the dates of the sources, and keep an eye open for missing decades or centuries! Remember that country boundaries can move, place-names can change, and even spelling conventions can change. (We used to refer to the composer Tchaikowsky; now it’s usually Tchaikovsky.) How crucial is currency in your particular discipline? What’s acceptable? 5. Don’t accept the citations blindly without checking them. Remember my example of the undergraduate looking for three books by a particular author. Wikipedia didn’t tell her that one “book” was an article in an Italian journal (journal title, date, and volume number would have been useful); a second book had gone out of print so quickly that few libraries seem to hold it. Better bibliographical details would certainly have helped establish that fact; and a third book was still apparently being written. “Unpicking the stitches” just might have established whether there was a chance the book had now been completed – or, conversely, was unlikely ever to see the light of day! If you see a promising reference, check it out. You can do this in many places: subject-specific abstracting/indexing database, a national library catalogue, a union catalogue (in the UK, we have COPAC, which allows you to search all the UK University and national library catalogues simultaneously) – or, indeed, even Google books, Amazon, Alibris, or another bookseller that deals in both current and out-of-print titles. After careful consideration I can’t adopt a black-and-white view either for or against using Wikipedia. Notwithstanding all these warnings, I must admit that I was quite impressed by Wikipedia’s “Reliability” article, and by the care that has gone into setting it up as a collaborative resource. But at the end of the day, information is only as good as the diligence and reliability of the entry’s creator, and you need to satisfy yourself that you can depend upon the information that you’ve found. 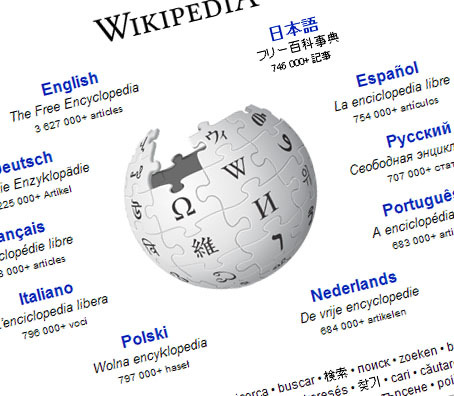 Finally – Can you, or indeed, should you cite Wikipedia in your own work? Again, Wikipedia concedes that opinion is divided on this. (Of course, sometimes you can get round the problem by citing the source from which the Wikpedia author derived their material.) But I’d advise you to ask your own supervisor, or journal editor, if it’s acceptable to cite Wikipedia – and, of course, always to ensure that your own citations are impeccable in their detail! Have you tried to cite wikipedia? What happened? This entry was posted in Book Reviews, Getting things done and tagged Wikipedia, wikis. Bookmark the permalink. I have this argument with high school teachers all the time. Wikipedia is a great door into research. It’s a really big online encyclopedia. You wouldn’t use it for ALL your research any more than you would use an encyclopedia. I use Wikipedia constantly when researching, when I need to understand a term or theory that is tangential to my own research, or figure out when a certain theorist wrote something, or refresh my understanding of the difference between modernism and modernity. It’s an awesome way of figuring out whether new avenues of thought will be useful and should be pursued or not. In terms of referencing it, I wouldn’t use it to reference anything that you could find in a properly published text. But some things (winners of recent sporting matches, outcomes of reality TV shows, box office figures for movies, etc etc) can’t be found on paper in a library, and that’s when I’d reference Wikipedia. This is timely. Just yesterday I told my flatmate that she could use wikipedia as background information. She was struggling to understand articles she was reading for class, and I showed her wikipedia. It gave her enough background to then understand the articles for class. When I was in law school, I would often use it for background on Supreme Court Cases (in the States) that made no sense. I would read wikipedia and then go back to the case. After the background, it was really easy to get through the cases, and then I could understand the original language and nuance better. Thus, just like any secondary source, wikipedia is useful but mostly as a starting point. Now, as I write my thesis, I rarely use it but mostly because my thesis is on lawyers who represent children – not too much information on wikipedia about that. Oh well. I still know that it can be handy at times, but only for some purposes. And I would never cite it. I’m getting the feeling that wikipedia doesn’t get as much scholarly credit as it deserves… I use it all the time in much the same way as everyone else here, but don’t show it any love in my citations. Perhaps we totally underestimate its impact on scholarly life? I agree actually, I know in some cases of leading scholars on a topic writing the wikipedia articles. And although you can argue that they are biased – aren’t a lot of journal articles too? Additionally, due to the bias in publishing – where only significant or exciting findings get published, it gives a chance for people to mention some research on there that might not get known about otherwise. I have never cited Wikipedia in any of my scientific work and I have a feeling my Supervisor will not like it very much if I did. However, I do use Wikipedia as a starting point whenever I wanted to read up about any topic (not necessarily related to my research), and from there I check out the various links for more information. I find Wikipedia a very good place to START. And that’s very important because oftentimes, people do not start their research/paper/whatever because the first step is always the hardest, and they have no idea where to begin. Haha I cited Wikipedia once when I was still in undergrad. It did not go down well! It’s quite ironic because now as a tutor I tell students they’re not allowed to cite it. Though I do say to them it’s a great place to start to get your head around the topic, as long as you go on to proper journal articles from there. Interesting post and one that really resonates. I’m only just starting on my PhD journey but have found myself wanting to cite wikipedia in a couple of instances. My thesis is on Digital literacy so I think it’s important to have current, popular ideas and notions of technology incorporated into that. But I’m torn because of the perceptions I’m likely to face from academic types about its credibility. It’s a tough one – I agree that it’s all about checking sources (as it is with any information) but feel we should have moved beyond dismissing something because it’s popular or because the way it is created doesn’t fit out stereotype of ‘good publishing’. I know it can be useful for something so i normally use it as a starting point or a quick look if i dont have much time. My issue is with undergraduate essays that cite nothing but wikipedia – come on you are at University do some work!, is what i want to shout, but most of the time i just point out lack of percieved effort and tell them to do better next time. On the otherside of things my friend fails anything that cites wikipedia! I have updated a few entries – I see it as a community service. I think we need to start asking ourselves about how we view it, or at least ask ourselves about the interesting dimensions it opens up on the ‘scholarly authority’ debate. So basically: go ahead and use it, but if it pops up in your bibliography I won’t be impressed. I do sometimes wonder whether Wikipedia articles should be allowed as cited sources rather than pretending they weren’t used at all, but in the end I think what matters is exactly the fact that Wikipedia is a good *starting point*, and not checking the information is lazy. Much like when a friend mentions a book or a case study that would be useful to your project: you’re still going to cite wherever you verified the friend’s information, rather than writing “something Jenny said” in the footnotes. Any academic (non-wikipedia referenced) work can be blamed or accused of being biased or promoting certain points of view. Take for instance Hubert Dreyfus’ “Being-In-the-World” from 1994. This is supposed to be a scholarly work on Heidegger, but not only does Dreyfus promote a misguided Wittgensteinian, social constructivist perspective on Heidegger (leaving out the apriori quality of Dasein), but neither does he read the second half of Heidegger’s Seind und Zeit. Still, Dreyfus’ work is accepted as bibliography. Why? The only thing that matters is if the reference is correct or not, not where it is from, who wrote it, when, why, the hair colour or height of the person writing it, the weather that day, what the person in question had for breakfast, lunch, dinner or supper etc. I innocently put a comment to myself in the first draft of a piece of writing that I was building towards my exegesis about 3 years into an 8 year part time PhD. Something about check with wikipedia. My supervisor hit the roof. I was surprised at the vehemence of her reaction. I understood it, as I knew Wiki could never be used as a reference. It was just the fact I had used it at all.